Most summer holidays have come to end and we are back with a last round of giveaways before autumn sets in.. It's that time of the year we are looking at our homes with new eyes and new energy and ideas to make some changes. So this giveaway might just be the thing for you! 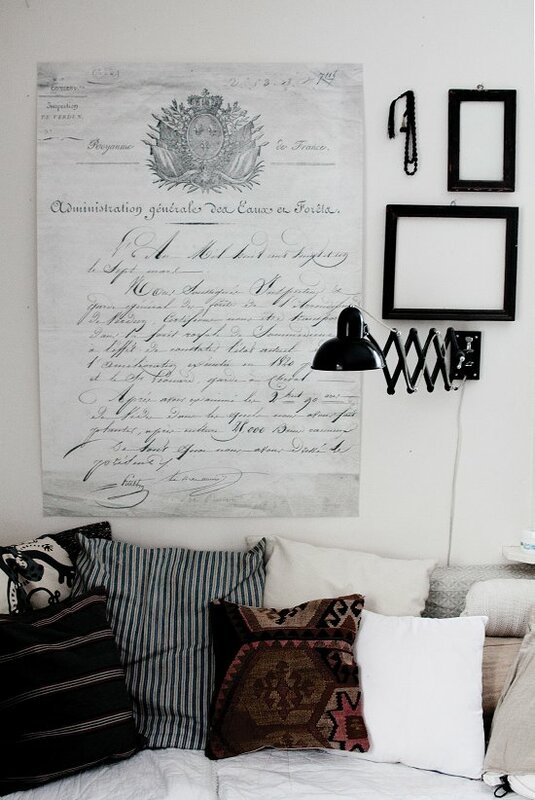 Together with Swedish company Country by mail we are giving away a large poster, a print from a French document from around 1750. Lovely in a country style home and adding a surprising touch to an contemporary interior. De zomer loopt ten einde en we zijn terug met een laatste ronde giveaways voor de herfst begint. In samenwerking met de Zweedse company Country by mail geven we een grote poster weg, een print van een Frans document uit ongeveer 1750. Super in een landelijk Scandinavisch interieur en verrassend in een moderner interieur.